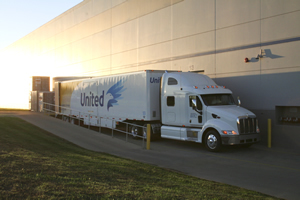 United Van Lines, has been recognized as one of the "best of the best" in transportation and logistics in the 28th annual "Quest for Quality" readers survey conducted by Logistics Management. The survey is the most comprehensive customer satisfaction survey across all major modes of transportation and allows customers to rate carriers on five quality criteria: on-time performance, value, customer service, information technology, and equipment and operations. The combination of our network's strength and resources allow our team unparalleled success in managing nationwide projects. We specialize in the coordination and management of projects that require inside service, interstate transportation and special handling requirements. Our team has managed the Roll Out of thousands of shipments into retail stores around the nation and at the same time, coordinated the return of used assets to various buyers and equipment refurbishers. When we approach projects for Chain Stores we work closely with the Corporate Office to identify the needs of the project, the handling requirements of the equipment, and the various partners that will be involved in the process. Our staff starts by diagramming workflow, assigning contacts, selecting services, and then coordinating the transportation and logistics with installers, technicians, regional managers, and others to ensure a smooth execution. We take pride in our ability to provide accurate forecasting, and then follow through will a service that does not deviate from your project's requirements. So if you are rolling out holiday kiosks into retail malls or rotating equipment models around your branch locations, our Team has the expertise to add value to your project! The task of relocating an industrial or commercial business can often have large impacts on your sales and operations. Gearing up and down for the move, conducting surveys, preparing the new location, mitigating downtime and the many other tasks of this process are all equally critical. Our team is experienced at moving businesses across town or the country. We take steps to ensure minimal downtime is encountered, while equipment and supplies are staged and delivered at the right time. We offer full service packing, rental crates, labor, Dry Vans, Flatbeds, Moving Equipment and most of all a well designed process to ensure that the move is executed properly. Planning for your relocation is often the most critical step you will take. We are always eager to discuss the techniques and expertise that will help make your relocation as efficient as possible! Before a wheel even rolls, our consultation process will demonstrate our ability to add value to your upcoming project!